Mae Tao Clinic in Mae Sot, Thailand, will move to a new location because of financial challenges, according to Dr. Cynthia Maung, the founder of the clinic. She said the cost of rent at the current clinic location is 200,000 baht (US $6,680) per month. She said some international donors have cut the amount of their contribution, adding to the clinic's financial woes. A source close to the clinic said that some donors have reduced their contributions by 20 to 30 percent. The clinic is supported by about 10 organizations including USAID, Norway, Sweden, the Netherlands, Canada and Italy. The strategic focus of many international donors began to change about two years ago when they shifted their first priority to organizations working inside Burma, said observers. The Mae Tao clinic provides free treatment to Burmese migrants and refugees in Thailand, in addition to many Burmese residents of Karen State who cross the border to receive treatment. Mae Tao clinic began in 1989. In 2008, after Cyclone Nargis, the clinic sent a medical team to treat cyclone victims in the Irrawaddy delta. First, Mae Tao Clinic will not relocate as the headline and the lead of the article suggested. In a telephone interview with The Irrawaddy. Dr. Cynthia said she “would like to” acquire a larger site for the clinic. In her letter, Dr. Cynthia said that a relocation of the clinic is not within the organization's current plans. It was also an inaccuracy to say that the clinic's funding, or a cut in funding, was linked to the supposed relocation. The article listed donor countries and organizations that support Mae Tao Clinic. Dr. Cynthia has pointed out that Sweden is not such a donor country. The reporter also referred to Dr. Thitha Maung as a former vice-chairman of the clinic. This, too, was incorrect. 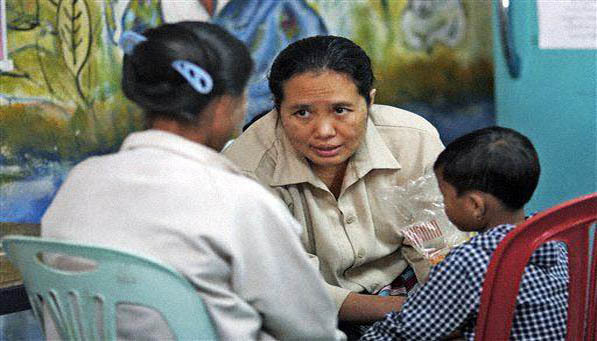 Dr. Thitha Maung is in fact the director of Thailand-based National Health and Education Committee's health program . The Irrawaddy apologizes for misrepresenting the comments of Dr. Cynthia and Mae Tao Clinic in this article. We are very sorry to report that the Irrawaddy has made several serious errors in this article. We have reported it to the editor. The clinic currently has no relocation plans, it has always been the wish of the clinic to have a better site... and facilities but as yet this remains a dream. The information about donors cutting funding is also neither clear nor accurate, nor up to date. In 2010, we have in fact acquired several new donors. We do not receive any funds from Sweden. Dr Thiha Maung is not and has never been a vice chairperson of MTC, and MTC teams never went into the Delta area of Burma . I would like to urge the Burmese commercial and banking tycoons to come to the aid of the clinic. PLease save it to stay put at the present site. I haven't been there but I would like to see it there for convenience sake. This service is purely humanitarian. They can do it openly, just as much as they can do so inside Burma. It's a great pity that this worthy cause does not merit the tiny sums of money needed to continue in Mae Sot when governments are able to find hundreds of billions of dollars to bail out the banks.